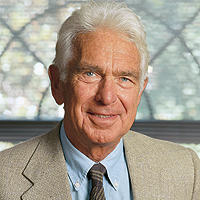 On July 31 we lost one of the eminent scholars and authors in the field of leadership, Warren Bennis. Some people have said that Peter Drucker was the father of management and Warren Bennis was the father of leadership. To me, he was a trusted mentor and personal friend. I first came in contact with Warren’s work when I was working on my doctorate degree at Cornell in the 1960s. I got to know him personally in the 1970s when Pat and Drea Zigarmi, two of my doctoral students who later became founding associates of The Ken Blanchard Companies, chose Warren as the subject of their doctoral dissertations. At that time he was the president of the University of Cincinnati. Pat studied Warren as an internal change agent and Drea studied him as an external change agent. Warren wasn’t just a writer and teacher of leadership—he was also a practitioner. More importantly, he was a fabulous human being. In the last several years I was fortunate enough to be able to have lunch with Warren in Los Angeles every few months. He always pushed the envelope and thought more creatively about leadership than anyone else. At age eighty-nine he was still teaching a course called “The Art and the Adventure of Leadership” at the University of Southern California alongside former USC President Steven B. Sample. Not only am I going to miss Warren’s inquisitive mind and his challenging thinking, I will miss him as a human being. We’ve lost a great one. ← Do You Have the Heart of a Leader? I could not agree more. Warren Bennis’ writings were a great guide to me.